My kids were complaining a few weeks back about our lack of snack options. Oh, we have plenty of fruit, nuts and yogurts for them to snack on, but they were hinting on to a few more "junk food" options. Allison actually got specific and wrote "fruit snacks" on my grocery list. I do treat them to a little junk food here and there, but not often. They are so used to the healthy snacks, when I do buy something like fruit snacks, the box will sit barely touched for months at a time. Instead of caving to my daughter's request, I pulled up this Blueberry-Apple Leather recipe I remembered seeing on Golden Blossom Honey. I have never made my own fruit leather before, and I really had my doubts on if it was even going to turn out right. Thankfully, it was a lot easier than I imagined, and baked up perfectly! My girls loved their own homemade fruit roll ups and I love that they are made with all natural ingredients! I think I may try playing around with fruit combinations to see what other flavors we can create! What fruit combinations would you like to try in your homemade fruit leather? Yummy and pretty - much prettier than the bloody fingers. Sounds really good. Wonder if you can fill them like a cannoli, with cream or ice cream? No, I don't think filling them would work. Thy are a bit difficult to keep rolled, so it's easier to just serve them in strips. exquisitely intriguing but five hours to bake??? Mine were done in a little under 4 hours, which does seem like a lot of time. But, I made several batches to fill the oven and made them on a day I knew I wasn't going to have to leave the house, so it was a good time to invest in making healthy snacks. Cubes sound heavenly! I bet this was a favorite sweet of yours! That looks FANTASTIC! We have a food dehydrator, and we make fruit leather all the time. It's delicious. These sounds really good. I could use some healthier snack options. I would like to try cherries and blueberries. Now that has to be better then the store bought stuff which probably has preservatives hidden in small letters somewhere! Honey instead of sugar is always a better alternative. It doesn't get more natural than that right there! Love, love, LOVE this recipe! Pinning. I bet they taste really good! They look yummy! 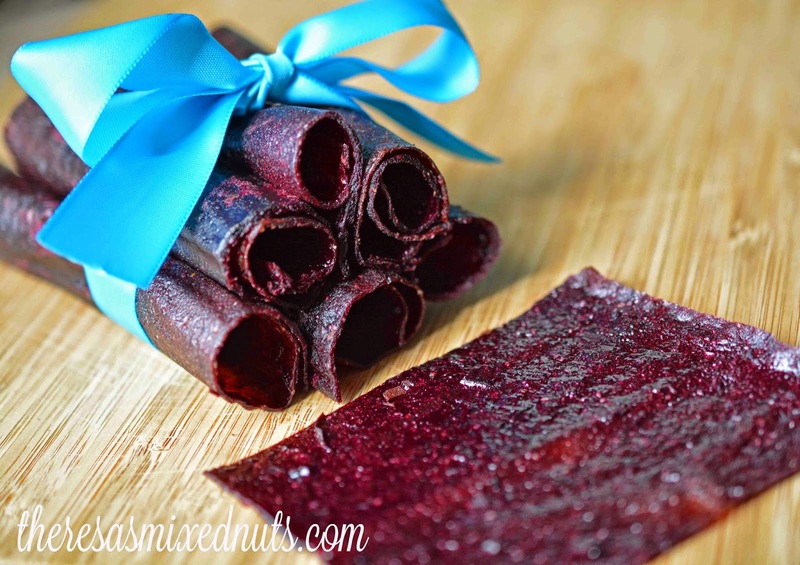 I grew up enjoying fruit leather as did my husband, so making some from scratch for our children would be really fun. I think I would attempt a citrus flavor combination! You are inspiring me to try to make this at home I would love to provide my family with a wholesome snack like this. I had forgotten about fruit roll-ups til I saw this post! I remember eating them as a kid! Yours actually look better than the store bought ones! They do! I can tell that there's actually fruit involved in these! Your fruit roll-ups look delicious! I love a good healthy snack like this! I will have to try and make these at home! How long has it been since I ate a fruit roll-up? I don't even remember the last time! I think I will remedy that with this recipe! Yum! How tasty. This is one thing I have yet to make but would love to! I bet my kids would think it's great! This sounds like a wonderful recipe. I know this would be much better in the lunch box than some of the things kiddo asks for. Yes finally this is what I have been looking for! My son and husband LOVE fruit snacks and I think something like this would work perfect for their sweet cravings! I can't wait to make them! I bet my girls would love these! You captured some gorgeous photos! This is a great idea. I have to try it. I've always wanted to try to make my own but always thought it was so hard to do. Thanks so much for sharing as now I'm going to try it! Oh wow this looks really interesting and like a very healthy snack. I'm going to try to make these at home. I want to try to make these fruit roll ups. The ones I buy always have something in it that I shouldn't use. These look so pretty! Yummy and healthy too! I'd love to make these! I never knew we could make them at home ourselves hehe... looks so pro! That looks so yum...I;m a big fan of the berries family but sometimes can't stand the sugar they put on those products out there. So, I simply eat them fresh. 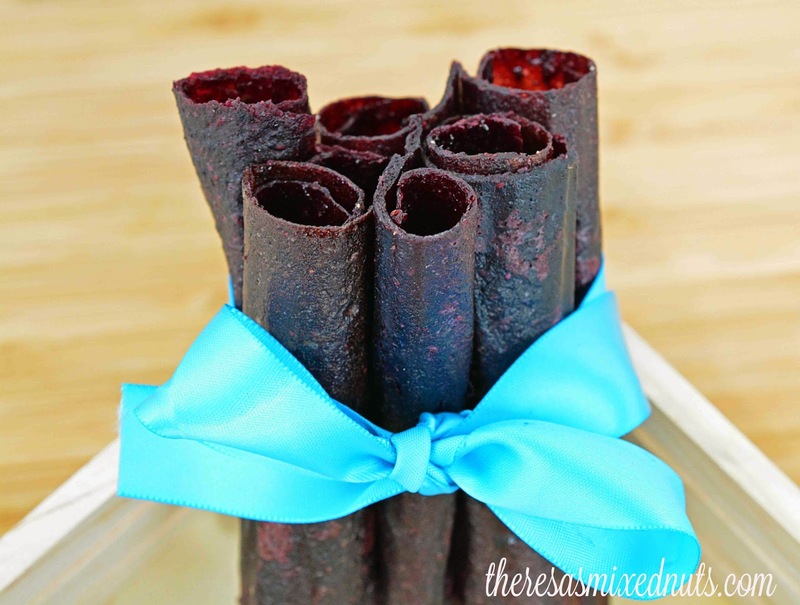 But this recipe looks delicious..
Oh my gosh, I love fruit leather. I had no idea it could be made at home! I've been wanting to try fruit leather at home. Blueberry sounds amazing! This looks so delicious. I love fruit leather. I have not tried making my own before. Sounds like a great weekend recipe. oh my boys and especially my daughter would love these. I can't eat apples but I can make it for them and I have all the ingredients at the house too. Thank you.